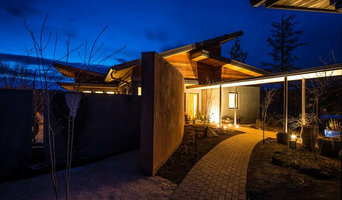 Desert Rain House has been designed and built to meet the most comprehensive green building standard in the world--the Living Building Challenge (www.ilbi.org/lbc). The home features as passive solar design as well as solar panels that will feed all of its energy needs. A 35,000 gallon cistern will store precipitation for all of the home's water needs, making Desert Rain a net-zero water home. To meet Living Building Challenge standards, the construction of Desert Rain used products that are replenishable and have no negative impact on human and ecosystem health. The home and additional buildings did not include Red List materials (list available at <a rel="nofollow" target="_blank" href="https://ilbi.org/lbc/LBC%20Documents/LBC2-0.pdf">https://ilbi.org/lbc/LBC%20Documents/LBC2-0.pdf</a>); and we must account for the total footprint of embodied carbon from the structure's construction and projected replacement parts through a one-time carbon offset tied to the project boundary. We used wood that was either Forest Stewardship Council (FSC) certified, reclaimed from salvaged sources, or harvested from timber onsite that was cleared for construction; and must source materials and products from within a specified radius of the project. 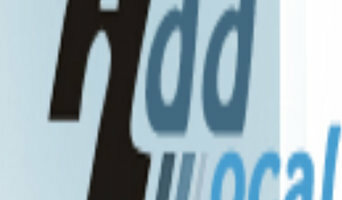 AddLocal.us is a free directory website where you can submit your site easily and also get it is indexed and ranked fast. Journalists and bloggers work to convey as much useful information to their readers as possible. Whether they provide an in-depth look at a new development in the world of design, research on the best Black Butte Ranch, OR vendors and resources for purchasing home furnishings, step-by-step instructions for completing a home improvement project successfully from start to finish, or inspiring images and thoughts on styles and trends in the home, blogs and other media provide endless resources for people interested in home design. Here are some related professionals and vendors to complement the work of media & bloggers: Photographers, Interior Designers & Decorators, Architects & Building Designers.